The London Book Fair’s Trailblazer Awards now have honored 20 20-something publishing standouts in four years. And the first translation prize from the GLLI program goes to a Penguin Random House work on homophobia and relationship. In its fourth year, the Trailblazer Awards program from London Book Fair (March 12-14) has again named five publishing players younger than 30 whose work stands out in UK publishing. The winners of the program, which is a partnership with the Publishers Association, were announced Thursday evening (January 31) at Soho House in a program hosted by The Guardian’s online books editor Sian Cain. London Book Fair director Jacks Thomas and ITN’s diversity lead Priscilla Baffour spoke at the event. The program has support from the Society of Young Publishers (SYP) and BookBrunch. This year, Thomas was joined on the judging panel by the Publishers Association’s Emma House; SYP chair Ain Deheb Bensenouci; BookBrunch editor Neill Denny; and Lounge Books’ Sam Missingham. In her comments, Thomas is quoted, saying, “This year’s winners are truly inspiring, innovating our industry by founding new publishing houses, championing diverse voices, producing inspiring digital content, and supporting key publishing initiatives. 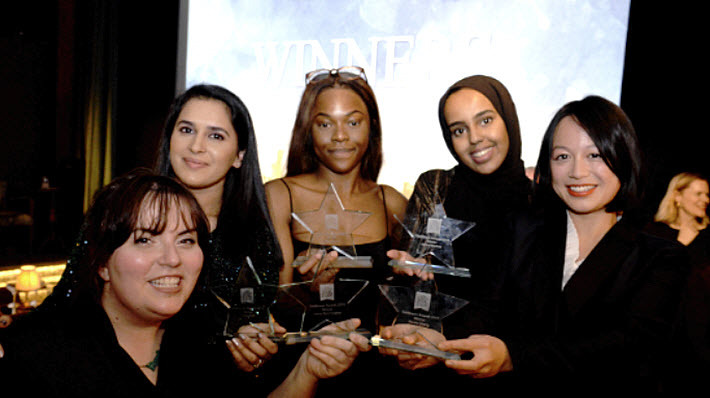 The five winners receive VIP entry to the London Book Fair its Club at the Ivy pop-up; tickets to the fair’s International Excellence Awards; an invitation to an SYP networking event and to a Book Society dinner; and a seat at the Quantum Conference on March 11. Also late last month, during the American Library Association’s meeting in Seattle, the Global Literature in Libraries Initiative (GLLI) program named the first winner of its new Translated YA Book Prize. Jurors in the prize program were Annette Y. Goldsmith; Gene Hayworth, University of Colorado; Kim Rostan, Wofford College; Laura Simeon, Kirkus Reviews; and Elaine Tai, Burlingame Public Library. They were assisted by GLLI director Rachel Hildebrandt Reynolds. 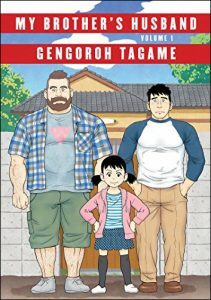 The winner, My Brother’s Husband, Volumes One and Two, is by Japan’s Gengoroh Tagame. It’s published by Penguin Random House’s Pantheon, and translated to English by Anne Ishii. 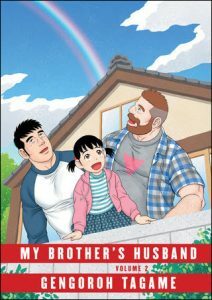 This work of manga is described in the organization’s media messaging as “gently but effectively” critical of homophobia in Japanese society. When Mike, the Canadian husband of Yaichi’s late brother shows up on his doorstep, Yaichi is courteous but standoffish, while his young daughter Kana is thrilled to meet her gay uncle. In commentary on the choice of the work for the inaugural prize from this program in translated YA content, the jury’s Annette Goldsmith is quoted saying, “The committee loved this sweet, nuanced story of coming to terms with one’s own prejudices and embracing a truly modern family. The Global Literature in Libraries Initiative advocates for the acquisition of translated literature by libraries. The prize will be presented at the library association’s annual meeting in Washington, June 20 to 25. More about this awards program is in our announcement of the GLLI shortlist here. More from Publishing Perspectives on the London Book Fair is here, on translation is here, and on publishing awards is here. More of our Industry Notes series is here.